Lack of sleep is something that makes me feel like a dead fish! 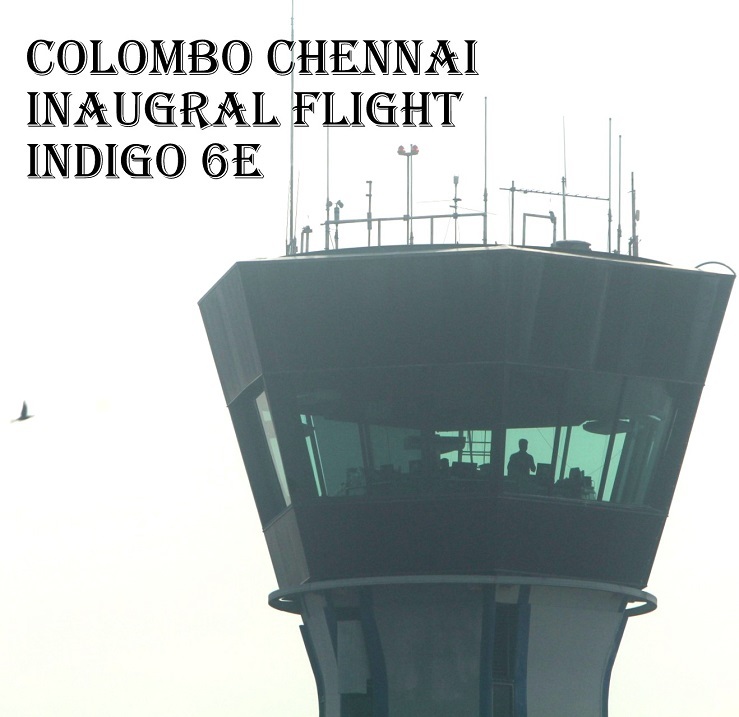 I barely got 2 hours of sleep before I boarded the inaugural Chennai Colombo Flight 6E 1201 with Indigo Airlines. However I woke up quickly as there was music and excitement in the air! The Indigo Staff was in a dancing mood! They came armed with portable speakers! Then I was lucky to go behind the scenes to the Indigo Office for the cake cutting! 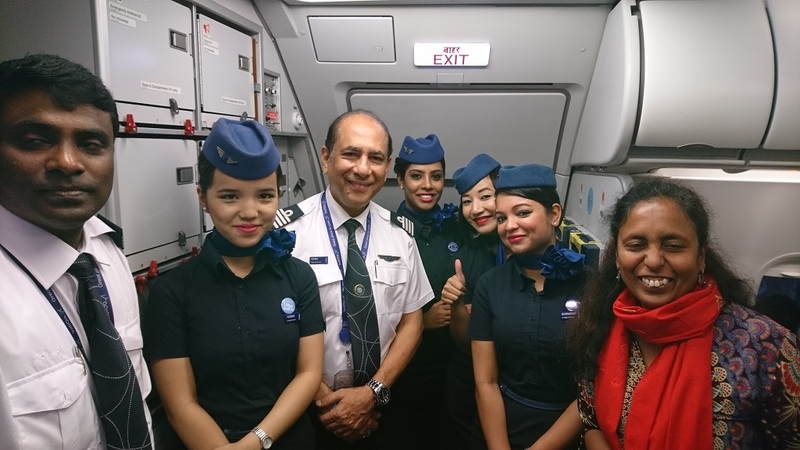 It was a pleasure to see the caption Ashim Mittra B, co-pilot Satish Rajasekharan and the leading lady of the crew Bhuvneshwari Balasubramaniam along with her team having fun! 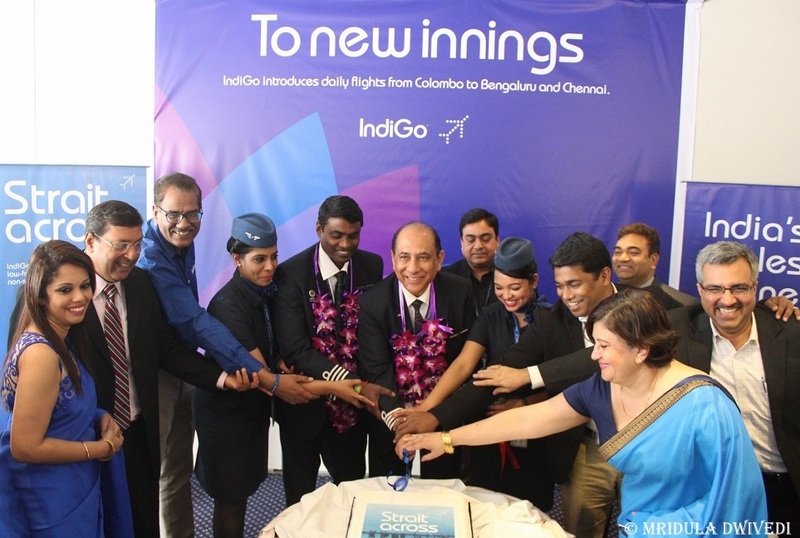 I could sense the excitement of the Indigo Team about the inaugural flight! Otherwise it is a little difficult to feel enthusiastic about anything at 5.00 am! I particularly enjoyed the cackle of the cabin crew backstage whom I otherwise see only when they are doing their job with great efficiency! We boarded the flight quickly. And then came the truly special moment when I could click a picture of the cockpit which you see at the top of the post! It was a pleasure to get clicked with the crew too! The captain came out of the cockpit to make the regular in-flight announcement. 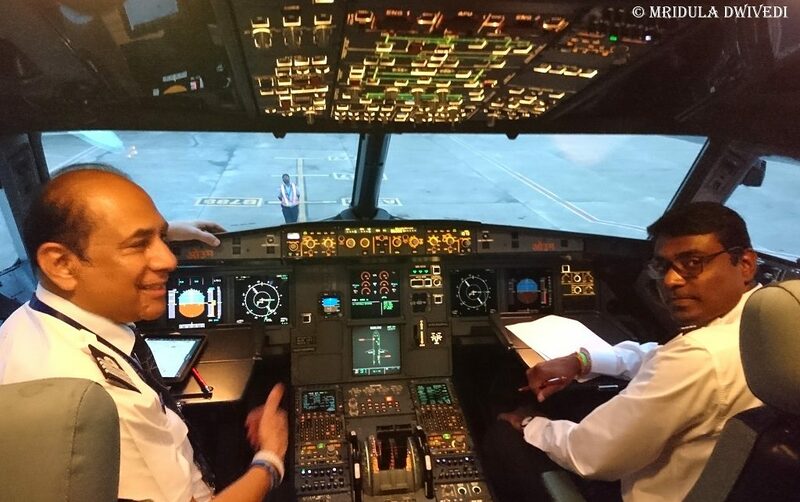 He said he wanted to be flying this particular flight as he used to live in Sri Lanka and it was a special moment for him to captain the first flight! 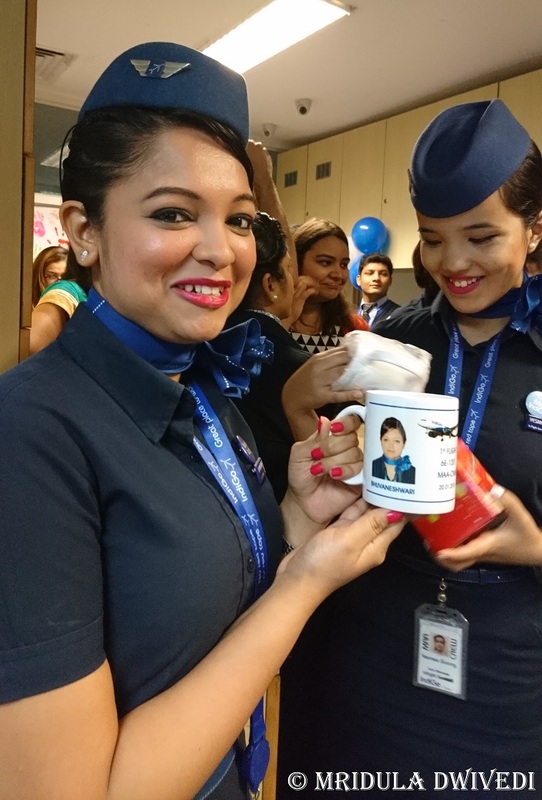 Once we were at the cruising height I sat with my customary masala chai and started typing this post on the phone right away, because inaugural flights should be blogged about on the same day! On landing we got the water cannon welcome at the Colombo Airport. I am sure ground is a better place to click the water cannon salute, but I could not be at both the places, and if I had to chose one, I wold choose the flight again! 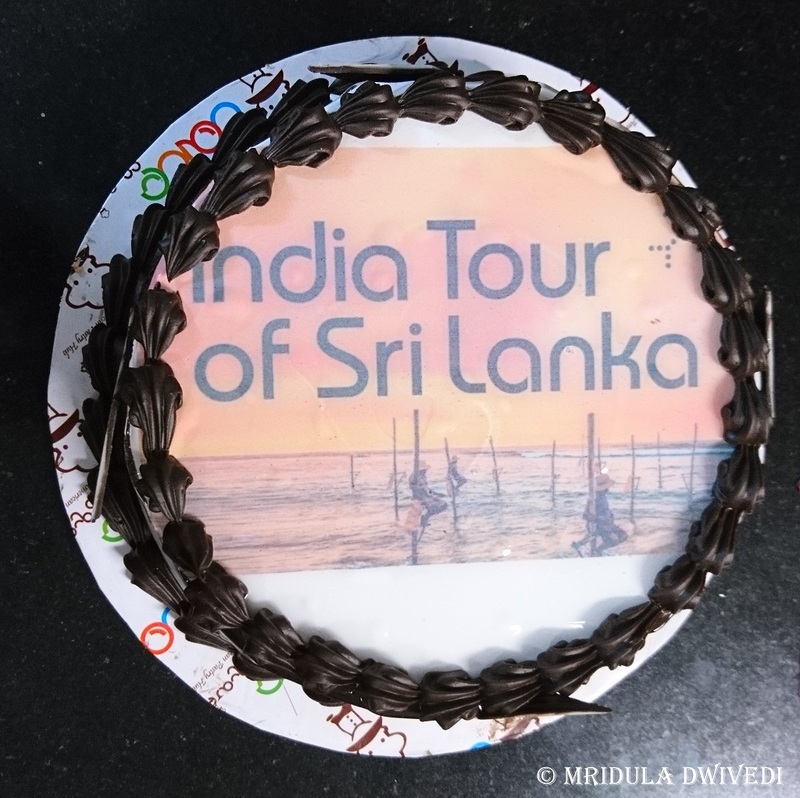 There was more cake cutting at Colombo. The mood was festive, short speeches were given too! The pilots were greeted with garlands. We went to a conference room, had a snack after the cake, all without even doing immigration! Colombo is my first international trip of 2018 and it seems that the year has started on just the right note! Here is to hoping that the year will bring in many more trips! You had the rare privlege to be part of the celebrations at very close quarters! Amazing news hope you had a great time ! Wish you more happy trips for this year. I too hope the fares will remain low! Happy faces! And loads of memories, right? I, myself, would love to get a ride to Colombo, in spite of the fact that it won’t be as special as your’s was.